Some people might view taking Arts subjects at A Level as reducing their future employability, unless they’re focused on moving into a specific profession like dance, theatre, or art. Even with this focus, though, trying for an Arts education can be unstable in terms of whether you’ll be generally employable after you complete your studies. Why, then, does taking Arts subjects at A Level matter, and what sort of institutions should be targeted for taking them? The status of Arts subjects at A level and GCSE has been under fire in recent years, with the now-shelved English Baccalaureate, or EBC, having planned to focus on core academic subjects, excluding more practical subjects like Drama or Art. While the EBC is no longer being used at GCSE, A Levelre forms are focusing on more final exams, less coursework, and increased emphasis on building employability through core A Levels across different disciplines. The value of taking Arts subjects at A Level is also complicated by the perception that including them will damage your chances of competing for the best university places. In this context, combining more traditional subjects with Dance, Drama, Art, or Performing Arts could be seen as taking a soft option, rather than trying to create the most prestigious collection of results to impress examiners. However, an approach to A Levels that just selects the subjects that you think will get you a better University place or a better job can be short sighted if you end up struggling and ignoring your natural talents in the Arts. An Arts education can be beneficial in many ways, from allowing you express yourself and show initiative through projects, to engaging with cultural awareness and a critical approach to society. At the same time, not following through and getting a qualification in a subject you love can mean that you work for two years on difficult subjects without any guarantees of getting a better job from them. The value of taking Arts subjects consequently comes down to whether you view A Levels as a means to an end, or as a chance to combine more pragmatic subjects for a potential career with the opportunity to broaden your mind and appreciate learning. There shouldn’t be an either/or approach to Arts, Humanities, or Sciences, and taking an A Level in a subject that you have talent in and are enthusiastic for can give you a more well rounded experience. At the same time, though, its worth considering which kinds of schools can allow you to make the most of Arts subjects; you can improve the quality of an A Level in the Arts by participating in extra-curricular activities, from taking part in art shows to participating in plays and musical productions – doing so might inspire you towards continuing with Arts subjects at university, or to get a better insight into opportunities within a particular industry. CJ is a blogger who mostly writes about the challenges of breaking into journalism and the media. She strongly believes in the value of Arts at A Level, and recommends that anyone looking to combine subjects and take extra-curricular activities look at Lansdowne Independent College in London. paragraphs is similar to other peoples work. Even if you did not copy anything while writing your content, there will be instances that your ideas are already conveyed by the other. Hence, it is better to make use of Plagtracker to make sure that nothing is duplicated. If you want further assistance, a minimal fee is required to purchase the program. Google doesnt want you to keep repeating the same word all throughout your article. To avoid being penalized, then Visual Thesaurus is going to be your new best friend. It gives you the possible choice for every word typed, whether it is a noun or an adjective. To maximize this product, you need to pay for a subscription fee at a minimum price. Typing, especially when youve been doing it all day, can be exhausting. Luckily, theres a speech recognition software that allows you to talk and your computer will do the typing for you. Simply say the words and everything else will be translated directly on your computer screen, accurately. Hence, it saves you more time and energy which can help increase your productivity. In order to maintain a strong writer-client relationship, then this software should be installed in your computer. Skype is the primary source of communication for most clients since its easier and more convenient to use with no fees required. Wridea promotes the idea of collaboration and brainstorming. You simply post an idea and categorize them in pages, ask your friends to give a feedback and encourage discussion and brainstorming among them, to make sure that your ideas get better. 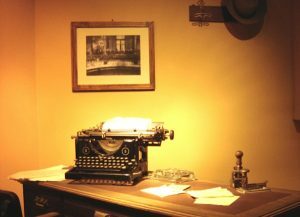 If youre geared towards the creative aspect of writing, then this web service is for you. Definitely a useful tool for every writer, the Web SEO Analytics has the most complete tools that will help you meet Googles online content standards. It has everything you need plagiarism checker, keyword, link and domain tools, even Web SEO Analysis. While accounting may appear to be a career that lacks in overall employment satisfaction due to a perceived tediousness, there are studies and surveys that suggest that crunching numbers may be more fulfilling than individuals may speculate. BLS data further shows that the median pay for accountants is around $61,690 (2010) or $29.66 per hour and that the number of accountant jobs in 2010 was 1,216,900. An employment change for 2010-2020 shows that an additional 190,700 are expected to be added for a total growth rate of 15.7 percent. Are Accountants Relatively Satisfied with their Career? 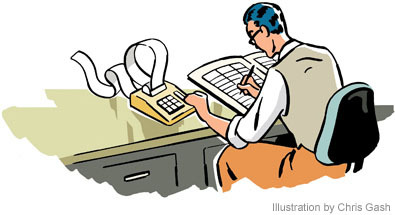 accountant is important one, particularly after this country’s recent flirtation with economic disaster and the need for the books and records of corporations, banks and governments to better reflect what is being done based on substantiated, not phantom, accounting methods and practices. This suggests that the need for new accountants in light of the Bureau of Labor and Statistics projection of nearly 200,000 new accountants for the profession by 2020 requires recruiters to focus on those individuals in possession of the above traits. Personality tests have been administered by human resources professional, such as the well-known Meyers-Briggs Type Indicator (MPTI) as a way to assess ability and determine if a candidate will fit in the work environment. The big five traits are an adaptation of standard personality tests applicable to the workplace. Of the five big traits, emotional stability, which relates to a person’s emotional state on the job and their ability to adjust to their surroundings and function, especially when faced with stress and pressure, had the highest correlation to career satisfaction for accountants. In addition to a high pay rate, accountants are also equipped with a steady employment rate that is expected to increase in the coming years. In an economy with an uncertain outlook, accountants and other similar positions are afforded job security rather than high unemployment rates. These factors, combined with personalities that function well under the conditions required for the position, are reasons that accountants have a high career satisfaction. Ray Pilkington is a freelance writer based in Biloxi, Mississippi who concentrates his writing career on personal finance, taxation, tax reform, savings, economic development and other related topics; to learn more about taxation view the following information on R&R Income Tax. When a former United States Secretary of Education questions the value of a College education, people take notice and start talking. This is exactly the question posed by William Bennett and David Wilezol in their new book, Is College Worth It? A Former United States Secretary of Education and Liberal Arts Graduate Expose The Broken Promise of Higher Education. Bennett and Wilezol both agree that College is definitely worth it, but its not for everyone. The authors cite the cost of a quality education as well as the 50% unemployment rate for 2011 graduates. Similarly, Peter Thiel, one of the original investors of Facebook, believes that too many colleges are churning out more College graduates than our economy can handle. The statistics are upsetting. A recent study showed that 45 percent of College graduates could not think or reason critically on complex issues. In addition, the study found that they did not learn any worthwhile writing skills in their first two years of their College education. There is no doubt that the cost of College education is a cause for concern. Students are burdened with heavy student loans and the default rate on these educational loans is greater than ever. And the cost of education rises every year. Cost of a college education is increased 1100% since 1978. Today, one out of ten students will graduate with a student loan of $40,000 or more. There are many online services to get the most suitable loan offer from the ones who are in the top of lenders. So, how can parents and prospective College students make the best decision as to whether College is right for them and how can they best minimize College costs and maximize their employ ability at the end of their College career? The statistics of Student loan default rates and excessive Student loan amounts are skewed as a result of Students that do not take their college career seriously and have not given serious consideration to whether they should have started College in the first place. Twenty nine percent of all students who take on student loans eventually drop out. This percentage has grown 25% in the last decade. Less than 40% of College students graduate in four years. Fifty three percent of all Students graduate in 6 years. The extra two years in College substantially increases students total student loan amounts. A commitment and schedule, on the students part, to graduate on time would not only decrease a students overall loan amount, but would also mean that the student has a higher likelihood of graduating college since they will be closer to their goal. We live in a different world today. With technology and the internet changing our lives daily, students should consider where the world will be in 10-20 years in deciding on their degree plan. There was a time when a student could simply study liberal arts and she would be sure to find a job. Now, with an abundance of unemployed graduates, a student should give considerable thought to her career plan. A highly thought out degree plan will also serve to lower a students overall cost of education. Switching majors while in college can add years to a students eventual graduation date. College is a costly commitment. Treat it as one. Similar to a house or car, a college education is a costly expense. And just as you have to maintain a house or car, students should make a similar commitment to put the extra effort into their college education. Student should take classes that not only will allow them to graduate but also to learn things that will help them in their later career and life. Students should also regularly attend class. After all, they are paying for this privilege. Students who are only looking to get that degree at the end will, at best, only have that degree. Students who put their heart and soul into college will come out of college a well-rounded individual who will be sought after by future employers. A College education is still very much a worthwhile goal in 2013 as long as both parents and students sit down and establish long term academic goals. Costs can very much be minimized utilizing these goals. And with these goals in place, a student will be an employable asset for the rest of her working career. 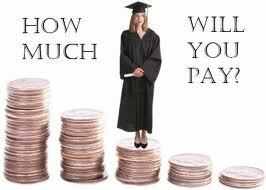 Most parents rely on loans and scholarships in order to manage their child’s education expenses. In reality, there are other options, but few people are aware of them. Therefore, this article can help to highlight some of the options that can be beneficial for you. 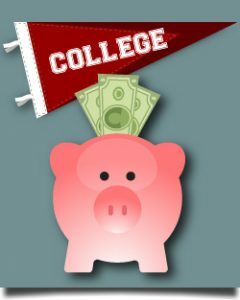 It can be useful if you’re looking for options to pay off college debt without complicating your financial situation. Stocks- Beneficial for your college savings portfolio: Tuition costs are incessantly increasing, faster than inflation. Therefore, stocks are considered to be the best way to save enough for the long term. You can start saving today to secure the educational future of your child. Therefore, parents can save money for a child who is approaching college age. You can effortlessly shelter your returns by switching your money into more bonds and cash. Once the bonds are matured, you can pay for college expenses with ease. Section 529 plans are popularly known as the Qualified Tuition Programs (QTP). This plan is considered to be the best option for saving for your children’s college education. You can effortlessly use your savings to pay off your educational loans without relying on additional loans or other financial aid programs. Prepaid tuition plans and college savings plans are two types of programs under section 529 plans. When you opt into prepaid tuition plans, you lock in future tuition rates at in-state public colleges at current prices. Its usually guaranteed by the state. However, college savings plans are not rigid and do not offer a guarantee. Savings Social Networking Programs: Social networking sites encourage friends as well as family to contribute to a child’s college education. Some programs are designed for the donor like updates on the child’s academic progress. Therefore, the contribution of the donor can be used to encourage the student to get good grades and succeed in school. College Savings Bank: The CollegeSure CD is an FDIC-insured certificate of deposit that is aimed for the purpose to manage college expenses. This certificate is offered by a college savings bank. The interest on this CollegeSure certificate of deposit is similar to other CDs. The interest percentage is fixed for average college costs at maturity. Once a CollegeSure CD has matured, the family can use the principal and accumulated interest to pay off college expenses. Education Bond Program: Interest on certain savings bonds is tax free with the help of the Education Bond Program. Therefore, when you redeem bonds to manage higher education expenses, these savings are tax free. Keep the above mentioned options when you’re planning to manage higher education expenses and want to use more than just loan and scholarship programs. T he California Examinations for Teachers is needed by the California Commission on Teacher Credentialing (CTC) for you to get a teacher credential. A passing score demands extremely efficient CSET prep. That means cramming and forcing yourself to memorize tons of information in a brief time will never do. Sadly, many test takers don’t know the most efficient manner to prep for the CSET, what test taking skills are required or what evaluation guides will cover the domains tested. They end up frustrated in exam preparation and then demoralized after they fail. Worse however, some turn out to be chronic test failures and lose their dream of being a licensed teacher in California. Do not let that materialize to you. You’ve invested a large number of dollars in college tuition and years from your life preparing to be an educator. You’ll want to toss out the window the idea that a $21 CSET test prep guidebook will be the only thing you need to study in order to pass. How Should You Begin Your CSET Prep? Before anything else register for the examination. Do not wait till you really feel you are ready before you really register. There will by no means be a perfect moment. Once you have registered and see the time ticking, it’ll create a force field which will compel you to prepare. 1.) Know and understand the content of this assessment to save yourself from feeling lost and studying the incorrect information. A.) What specific skills and knowledge will probably be tested in your specific exam? C.) How is your test scored? Understanding what sections of your exam account for by far the most} points will help you allocate your CSET test prep towards the content material knowledge that will increase your general test score the most. Further, understanding how the California Commission on Teacher Credentialing and Evaluation Systems Pearson measure the tested competencies will can dramatically turbo increase your exam evaluation and also your probability of a passing score. D.) What will be the format, structure and way CSET examination questions are worded? Your exam will either have multiple choice questions, constructed response questions or perhaps a mixture of both. It pays to know how to answer constructed response questions. This can be a distinctive test taking skill you’ll need to discover and demo. Be very familiar with Constructed Response questions and in what format, structure and style to answer them. NOTE: Whether you are taking the science, social science, math, Spanish, Bilingual Authorization, Multiple Subjects Test or additional, most of this CSET prep information may be discovered in downloads from the official CSET (or Evaluation Systems Pearson) site. 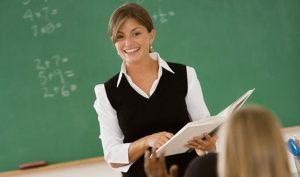 The best CSET prep classes, workshops, practice tests, flashcards, books and tutoring are produced by California teachers who passed your particular exam. After all, it doesn’t make sense to buy one of the most generally utilized preparation books when too many fail after utilizing these guides. In fact, most authors from large publishers who create CSET prep books rarely ever took your exam! They’re not an expert within the Single Subject exam they’re supposedly teaching you how to pass. You currently have other responsibilities each day and week. You will find lots of competing demands on your time especially when everyone expects a piece of your life with text messages, social media, emails and cell phones. Consequently, you must make CSET preparation a priority and put much less important activities aside until following your testing date. You have to proactively schedule test practice time each week. Aim for at least 2 hours per day in case your exam day is really a month or less away. Allot a realistic amount of time for each area from the exam you’ll need to study. Discipline yourself to close your pc browser, turn off e-mail, social media, text message alerts and cell phones. Do not get caught up within urgencies of the moment (which are not essential in the big picture) that steal your concentration and possibly your profession as a teacher. Each interruption (whether a live individual, telephone call or perhaps a computerized communication) robs you of crucial CSET prep time. Typically, youll need 10-20 minutes after every interruption to obtain your mind in the state of concentration it was in before the interruption. As you can see following a series of continuous interruptions, your test prep productivity is in the gutter. It requires you three hours to complete what you could get done in 1 hours of uninterrupted time. By the time you walk into CSET testing center you are only half as prepared as you’ll need to be in order to pass. Its too late whenever you realize your CSET exam prep time was lost in partials and piecemeal in the weeks leading up to your testing date. You always need more time for prepping estimate now, so steer clear of procrastination by forcing yourself to plan and schedule test practice. Identify your weaknesses and strengths when it comes to the subject matter competency requirements. Strive to boost your understanding and skills in your locations of weaknesses. You will increase your test score 2-5 quicker in each hour of reviewing low areas vs. making mediocre improvements in sections you’re currently proficient in. This also applies for your weakest test taking skills too. For instance, in the event you tend to run out of time taking the exam, practice on pacing your self according to how much time you get for each test question. If understanding how you can format an effective essay in the Constructed Response questions is a challenge, double and triple your concentration and time enhancing that ability. The danger is we always gravitate to topic matter and practicing abilities we currently feel comfortable in. The key to peak overall performance CSET test prep is forcing yourself to do whats not comfy, but necessary to ramp up your areas of greatest difficulty so you pass. Use these CSET prep helpful tips from http://www.cateachingsolutions.com/csettestprep.html as a checklist to increase your productivity and quit risking a failing score. Just utilizing just one of these strategies regularly might be enough to pass the CSET test and get you in front of the} class. Is Law School too Theoretical? Many people involved in the legal profession now believe that law schools in the United States provide a legal education that is too theoretical and not practical enough. Somewhat surprisingly, those who protest of a lack of practical skills among recent law school graduates are judges and senior partners at law firms. Many of those who advocate retaining the theoretical nature of a legal education are law students. Judges are becoming increasingly frustrated with novice lawyers who cannot write. They complain of legal briefs crammed with spelling and grammar errors, slang and poorly constructed paragraphs. They also complain of unnecessarily lengthy briefs containing unnecessarily elevated language. Judges often become frustrated with young lawyers who seem to be unfamiliar with the basics of courtroom procedures. Senior partners at law firms also complain of poor writing skills among new hires. They also complain of freshly minted attorneys with poor people skills and poor math skills. They do not want to leave new associates alone with clients because they do not listen well enough to learn what clients want to accomplish. They are also unable to articulate a strategy for accomplishing the client’s goals. They often do not get along well enough with opposing counsel to be able to negotiate effectively. Senior partners are reluctant to let inexperienced attorneys handle trusts because they are inexperienced as to how to balance trust accounts. They also have issues with keeping accurate timesheets, thereby making billing problematic. 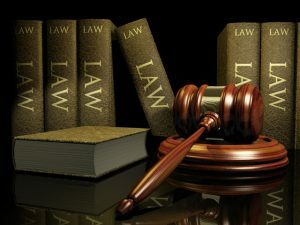 Many law students and the deans of law schools believe that new lawyers need to understand the reasons for the law in order to understand how to practice law. An attorney needs to understand the ideals of due process in order to understand whether due process has been followed or not. An attorney needs to understand what society has agreed constitutes property and what rights individuals have in regard to property in order to understand whether property rights have been violated. It is essential for law students to understand the theory behind contract law if they are to understand whether any particular contract is valid or not, or whether the terms of a contract have been violated. Perhaps law schools could do more to prepare law graduates for the reality of practicing law, such as through increased internship programs. However, most law schools do offer courses in legal writing and courtroom procedures. Many law students choose not to avail themselves of these courses. Many of the skills that senior law partners and judges complain that new attorneys lack may be beyond the scope of law school, or should be incorporated into the admission procedure for law school. 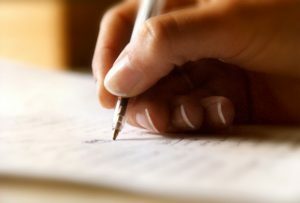 A law student should have basic writing skills before he or she is admitted to law school. A law student should be able to balance and reconcile a bank account. A lack of skills in interpersonal relationships cuts across all professions and occupations. It may be necessary for law schools to lead the way in remedying this situation, as law school graduates at some point in their law careers will need superior interpersonal skills. They will need to deal with clients, superiors and colleagues in law firms and judges. Christian Sharpe is a freelance writer who focuses on legal education, legal history and assorted legal topics such as Securities Fraud, Financial Regulation, Banking Law, Corporate Law and others as well. Since my early days of schooling, I was never into education like most of the kids. I tried my best to avoid studying, as much as possible, and spent time playing games. This is because of an obvious reason, that I found games more attractive and enjoyable. At this stage, I never thought of the advantages of education, and I think I wasn’t even told about that. All I was told by my parents is to socialize, enjoy with friends and teachers in your class. To sum up, it never makes sense to go to school till the 8th grade. Things have started to make sense but the world is not easy to conquer! You have to sacrifice a lot to make sure you stood good in class; you have to be very strict with schedule, life, and plans. However, this stage has almost the same intentions as childhood but with a bit of a knowledge that education is going to play a vital role in life! And the most important point, students try to earn! Which is good for them and parents but it comes up with a whole new package. I personally think that the more you are exposed to jobs, the more you have the potential to get away with education. Every student is not sharp, intelligent, and has the ability to maintain balance. I have a few friends who always wanted to earn more (I wish if they wanted to Learn more), and they did against the cost of their education for a specific time frame. But when I was done with the engineering degree I was earning far better than all those who didn’t pursue their education or is some cases hardly done with an associate degree to start earning as soon as possible. All of them were looking for a short term plan! Even at college and university life, students were not able to understand the importance of education. For me, education is just to have a better career, and this reason is good enough to pursue for my engineering program! Education is not only about what degree you have. I have a strong believe that education gives you vision which is priceless. My parents used to tell me all the time that education will make you a man of honors and respect. This never makes sense for me. Now when I realize that education has actually makes me think like a sensible person. It not only makes you learn a skill and pursue a successful career, in fact it lets you make sensible decisions in life. The more you use your brain the better it will have thinking ability. Education is such a great things that it always reflects in you (from you work, family, decision, and analytical skills!) Also, that doesn’t matter which career path you have selected, the more you learn, and the better will be you! The above mentioned point is the top most benefit of education; this is the difference that even differentiates between a proper four year bachelor graduate and vocational degree holder, which concentrates on a specific skill set. The purpose of wide range of courses in a bachelor degree is to create a coating of education on students. Engineers, doctors and other professions that require four year degree program has a strong reason. I have done software engineering and during my span of four year degree program, I studied forty courses (5 per semesters), among those 40 courses, only 25% courses (10 courses) ever specifically related to software engineering. Why? Why I don’t just go for those specific 10 courses and get an engineering degree? This is because engineers and other four year degree program holders are respected more, not just because they have a specific skill set from specific courses BUT they have more analytical and mental capabilities, which is achieved thorough the continuer years of effort! In short, you have to pay to get something, and what you pay for education is not even close of what actually you get! Its priceless!! !